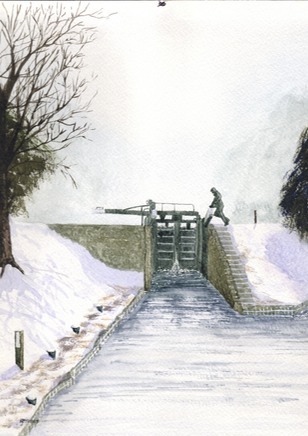 Nigel Street is an experienced watercolour artist and qualified teacher who runs two-day Courses, one-day Workshops, Demonstrations and bespoke training in and around Herefordshire. 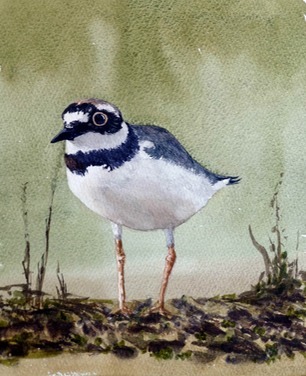 He has been through the whole gamut of the learning process from self-help books through demonstrations and courses, to finally running two of the "Watercolour Weeks at Weobley" Courses for the late, renowned Bob Kilvert. 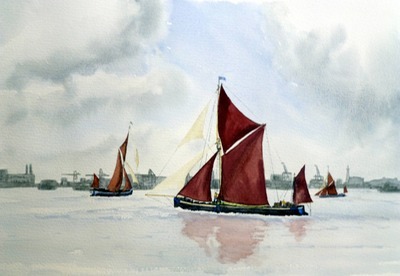 So he understands the problems experienced at every level from beginner through the competent but struggling watercolourist period to that of experienced tutor. He was voted Aspire Magazine’s Watercolourist of the Year 2014, He also regularly exhibits at h.Art and other events in the region. Nigel is pleased to welcome you to this site, which is in the process of development. It explains and illustrates his approach to watercolour, the background and scope of his courses, workshops and demonstrations and its suitability for both beginners and any watercolour painter who is keen to develop their understanding of this rewarding medium. But, why is his approach titled “Simply”? Would the approach be useful to you?